NB-IoT and band 70 - What is your opinion? RF engineers already know that signal propagation characteristics vary according to frequency. In simple terms, signals carried at lower frequencies travel further. Since wavelength equals the speed of light divided by the period of the carrier signal, we can see that low frequency signals have a long wavelength. 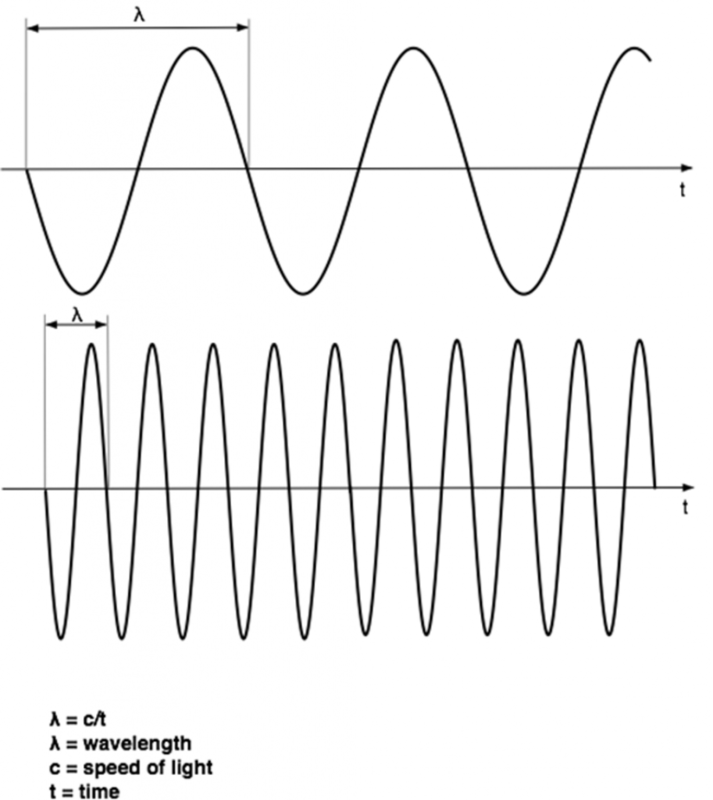 Long wavelength, low frequency radio waves are able to diffract over obstacles such as hills and valleys where a line of sight is not possible. They also follow the curvature of the earth leading to extended range. We will see on another blog how the earth’s curvature is related to antenna height and maximum range. This type of signal propagation is called “ground wave”. Attenuation of signal strength over distance by absorption into the ground is lower for long wavelength radio waves than it is for high frequency, short wave transmissions. This is why the LPWAN industry is fortunate to have access to sub-1 GHz frequency spectrum – so called ISM (Industrial, Scientific and Medical) bands. In the EU these are usually centred around 868 MHz – around 915 MHz in the US. However, intelligent protocols such as Weightless-P are also able to use 169 MHz and 470MHz with a 12.5 kHz channel bandwidth. Every developer wants the best coverage and range so you’d imagine that the 3GPP community would not be looking to use higher frequencies when we have already seen how this compromises signal propagation. Band 70 uses spectrum in the 1695 – 1710 MHz range for uplink and 1995 – 2020 MHz for downlink. The higher frequency compromises range and the large range of frequencies from 1695 – 2020 MHz makes antenna design significantly more complex. In short, why use band 70 in NB-IoT if band 8 and 20 offer so much more range? The Egli model is a terrain based radio propagation model. We will be discussing the Egli Model in detail in another blog but for now just be aware that it is used to forecast total path loss in a point-to-point link. If we change the frequency from 900 MHz to 1800 MHz then the covered area is reduced by around 50%. This means that we have to double the number of base stations to cover the same region. If we run our LPWAN on 169 MHz instead of 868 MHz then the coverage can be increased from 186 km2 to 940 km2. With LoRaWAN or Weightless-P, we can achieve a maximum range of estimated 7.7 km. With Weightless-P on 169 MHz, we already achieve 17.3 km. Comparing the coverage then this will increase from 182 km2 to 940 km2. * 169 MHz and 470 MHz are limited to 12.5 kHz or 25 kHz bandwidth. In both cases, these bands are not possible for LoRaWAN in the EU where they require 125 kHz bandwidth at the end device. ** 900 MHz and 1800 MHz are licensed cellular bands for comparison only. The maximum Tx power in the 169 MHz band is regulated to 500 mW which equates to 27 dBm. This means that the link budget will already be 13 dB higher. However, if we want more coverage for our classic LPWAN then we can simply follow the cellular base station approach and deploy antennas with high gain at the base station end of the link. This is an economical option given that an omnidirectional 9dBi gain antenna is inexpensive. A higher performance option would be an 18 dBi sector antenna with 3 way splitter. The splitter and the cables derives a small loss but with 18 dB more gain the range at 868 MHz will increase from 7.7 km to 22 km and the coverage will rise from 186 km2 to 1520 km2. If you plan your own private LPWAN or to use a public LPWAN, then do not hesitate to drop an email to harald.naumann (at) gsm-modem.de . Well for one thing higher path loss slope n (path loss from large scale simple propagation model where Path loss = 10*n*log(distance/reference distance)), where n is the ‘path loss slope’ and ranges from 2 (free space) to 5 (urban area), but changes also based upon frequency, equates to higher capacity, all else being equal, provided you have coverage. So it really depends on the range vs capacity needs. For an area with really high density of users, capacity rather than range is the more limiting factor, so you would prefer to use a higher than lower frequency, as long as you have coverage. For rural areas, you’d rather use a lower frequency for range, where you are not capacity limited.